Australia and Canada share a lot of similarities as two of the world’s leading mining nations. Peter Diekmeyer tells Australian Mining of the links between the two countries at at the PDAC Convention in Toronto earlier this month. Australian gold miners currently rank among the world’s top performers. However, that success extends far beyond obvious data metrics. So said a variety of stakeholders at the Prospectors and Developers Association of Canada’s (PDAC) annual trade show which took place in March. “The Australians are good at turning rocks into cash,” says Rick Rule, president of Sprott U.S. Holdings. 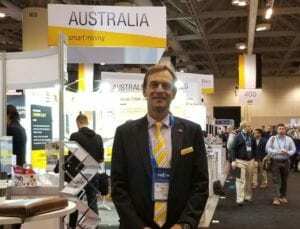 Organisers bill PDAC, which attracted almost 26,000 people from 130 countries to Toronto in 2019, as “the world’s premier international minerals and mining industry event.” Judging from the substantial Australian presence, many local stakeholders agree. Andrew Heap, chief of the resources division, at Geoscience Australia, agrees. “Developers like to do business in Australia because they can ramp up investments fast,” Heap says. Judging from their visibility at PDAC, Australian Minerals clearly put their money where their mouth is. The team’s large booth was one of the most heavily-trafficked locales on the entire PDAC site. A half-day series of seminars by Australian geologists and government officials, including Andrew Bailey, CEO of MinRex CRC, was also well-attended. Indeed, judging from recent data, those efforts coupled with similar initiatives by sector promoters, developers and equipment marketers appear to be bearing fruit. 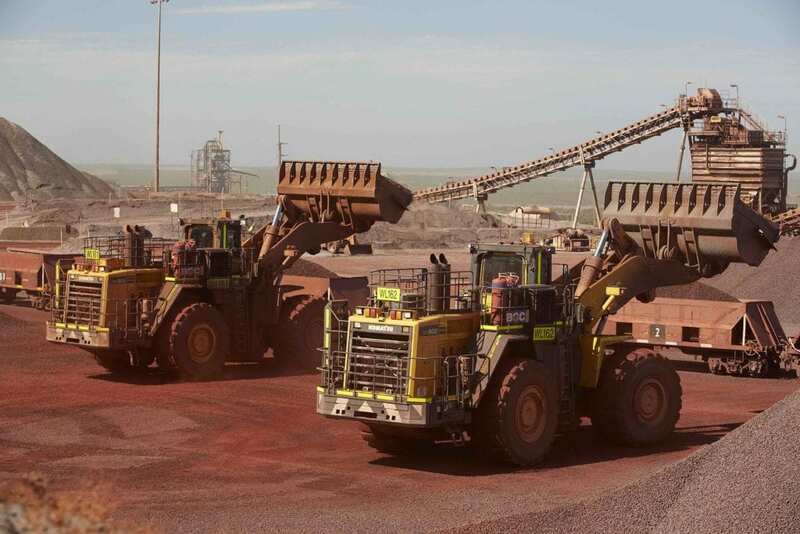 Led by producers such as Newcrest Mining and AngloGold Ashanti gold production hit an all-time high of 317 tonnes in 2018. Furthermore, according to World Exploration Trends, a report released by S&P Global Market Intelligence at PDAC, Australia attracted 14 per cent of the world’s exploration budgets last year, fourth overall, with gold the top target. Exploration budgets for their part spiked by an impressive 58 per cent during the year in Australia. Overall world exploration budgets rose by 20 per cent during 2018 to $US10.1 billion ($14.3 billion), according to the report. Half of that amount went in to the gold sector, 22 per cent into copper and 7 per cent into lead/zinc. Positive momentum from a variety of geopolitical developments means that gold demand should continue to grow, says Rule. These include multi-decade record central bank gold purchases, implementation of Basel III regulation changes that will allow banks to count the yellow metal at market value in their reserve holdings and significant price increases to near all-time highs in numerous global currencies – including the Aussie dollar. “With gold traditionally in an inverse relationship with the US dollar its macro outlook is decidedly appealing,” says Rule. Australia could be a big winner from such a trend. For example, Heap notes that while the country is the world’s second-largest gold producer, it has the world’s largest resources. This suggests further room on the upside. However, gold is far from the only sector that Australian mining officials are promoting. According to Australian Trade and Investment Commission mining equipment, technology and services (METS) providers contributes more than $90 billion to the economy each year (or about 8 per cent of GDP). This figure includes $27 billion in exports. However, officials are trying to boost those totals. Not surprisingly many of the country’s mining equipment, technology and services providers, of which more than two thirds are exporters, also made the trek to PDAC. According to Angela Hamlyn, president of the Canadian Institute of Mining, Australian participation at PDAC is also driven by the numerous similarities between the two countries, which spark synergies from information exchanges and partnerships. Both countries are large, resource-based former British colonies. They have similar legal systems, as well as governance and military priorities. These collaborations bear particular fruit in the mining sector. For example, the Canadian Institute of Mining collaborates closely with its Australian counterpart and Kirkland Lake Gold, which operates the Fosterville mine, is Canadian-based. The company recently announced its output should rise from around 350,000 ounces in 2018 to 600,000 ounces in 2019. That mutual respect extends to the think-tank level. For example, the week before PDAC began, Canada’s Fraser Institute ranked Western Australia second in its global Investment Attractiveness Index, just behind Nevada. This represented a jump from fifth place last year. PDAC also provides mining players a chance to keep abreast of how the latest industry innovations are affecting demand. One of the most intriguing presentations was by Roy Sebag, president of GoldMoney and Mene, a start-up online retailer, which is trying to change the way jewellery is sold. Unlike traditional retailers, which invest huge sums in marketing their products, Mene provides the public the opportunity to get exposure to gold, by investing in jewellery as wearable wealth. Rule, for his part regards the recent spate of mega-mergers as a bullish trend. “When companies become larger, they also become increasingly liquid and can thus attract capital more easily,” says Rule. This article also appears in the April print edition of Australian Mining. The post Aussie gold players ride high into PDAC appeared first on Australian Mining.